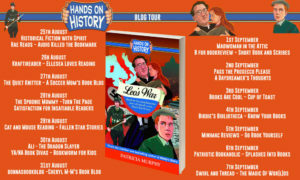 I’m delighted to be taking part in the blog tour today for Leo’s War by Patricia Murphy. 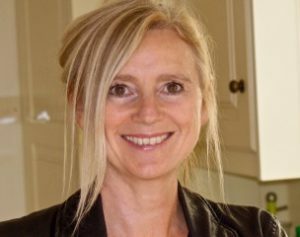 The author has very kindly written a guest post about pitching her writing for children and there’s also an amazing giveaway to win a £30 Amazon voucher. My thanks to Rachel Gilbey from Rachel’s Random Resources for the place on the tour. I don’t consciously write for children for the simple reason that in my last four books, I write as a child, specifically a 12-year-old, which seems to be my inner age. Perhaps I have a case of arrested development but I love this threshold age, between childhood and adolescence, young enough to be innocent, yet also with a dawning realization of the complexities of the adult world. The clarity that children have, their honesty and curiosity also helps when writing about war. I see it from the child’s point of view – huddled in doorways, earwigging on adult conversations, more interested in playing than politics. Children experience the same things that adults do. They aren’t protected from bombs or bullets no matter what parents do. But they process it through a child’s sensibility and accept all new sensation raw, without the filters that adults impose. For me it’s all about the voice and personality of the character. I usually see my protagonist first, in a vivid moving image. This time the Monsignor came first. Colm Ó’Súillubháin, my nephew’s headmaster in Killarney in Kerry first suggested their former pupil at The Monastery School, Monsignor Hugh O’Flaherty, as a possible subject for my new book. But as amazing as he was, I needed a way to tell the story for it to come alive for me. I put it in the back of my mind, then one day, I saw Leo in a flash – pushing his disabled sister Ruby up the hill. I was a bit puzzled myself, as Leo had no clear connection with a priest. But I am patient when I get an idea so I sat with the picture for a while. Then I took up my pen and started to write as the character. It can feel almost as if I’m channeling. I asked questions – who are you? Who are your parents? What on earth are you doing in Italy as the Nazi’s invade Rome. How are you connected to the Monsignor in the Vatican? I know technically I wrote the novel, but it honestly felt that Leo wrote through me. He had a very strong personality – rebellious, cheeky, allergic to authority but fiercely loyal and protective to his disabled sister Ruby. It made it easier to tell the story of the Monsignor as most children won’t respond over-quickly to the story of a priest no matter how brave, resourceful and heroic he is. Leo too is skeptical, how much use can “a man in a dress” be against the Nazis? Leo is also half-Jewish, a fish out of water, used to being the odd-one-out But he soon realizes how unconventional and maverick “The Vatican pimpernel” is – so called because of his mastery of disguises from a coalman to a nun, despite being 6 foot 2 with a potato nose. I am fascinated by how children interpret the world. My sense of how they speak and think has been honed by years of documentary making as a Producer/Director. I’ve filmed children in quite a few situations, interviewed them and observed them down a lens and on edit screens. Even if they aren’t always articulate, children are very expressive and observant. They see things adults miss, get overlooked and they are a constantly watching and learning. I feel children get under-estimated by adults – they are far more quick-witted and intelligent than we give them credit for! I also find they are hungry for information and able to deal with a fair amount of complexity. I think that’s one of the secrets of the success of JK Rowling and Harry Potter. It’s a vast world with masses going on and JK Rowling has a deep intuition of children’s needs to interpret their reality and their capacity to understand ambiguity and layers of meaing. I am also highly motivated by plot and story, which I think children respond to. I cut to the chase, there isn’t a lot of fat on the bone. My books are popular with boys as well as girls and reluctant readers too, and I think this might be to do with there being very little purple prose. Though maybe writing about war also helps! I also have an adult crossover audience, particularly people who were put off history when they were in school. Several people get in contact to say they have enjoyed reading my books with their children. That’s very pleasing. My ten year-old daughter and my many nieces, nephews and godchildren also give me excellent feedback. They are very quick to tell you if something isn’t clear or if it’s boring. I often visit schools and libraries and kids can spot a typo or an error at a thousand paces. I like that. It shows they’ve read the book! It’s a privilege to write for children and seeing the world through the eyes of a child is a source of endless wonder. Thank you, Patricia. 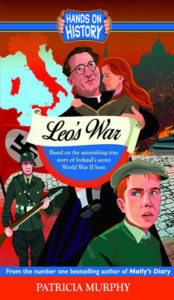 Leo’s War sounds absolutely fascinating. *Terms and Conditions –Worldwide entries welcome. Please enter using the Rafflecopter box below. The winner will be selected at random via Rafflecopter from all valid entries and will be notified by Twitter and/or email. If no response is received within 7 days then the giveaway organiser reserves the right to select an alternative winner. Open to all entrants aged 18 or over. Any personal data given as part of the competition entry is used for this purpose only and will not be shared with third parties, with the exception of the winners’ information. This will passed to the giveaway organiser and used only for fulfilment of the prize, after which time the data will be deleted. I am not responsible for despatch or delivery of the prize.